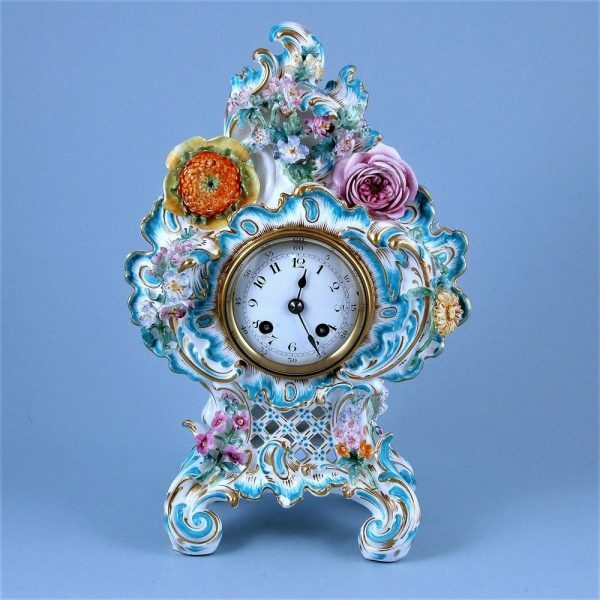 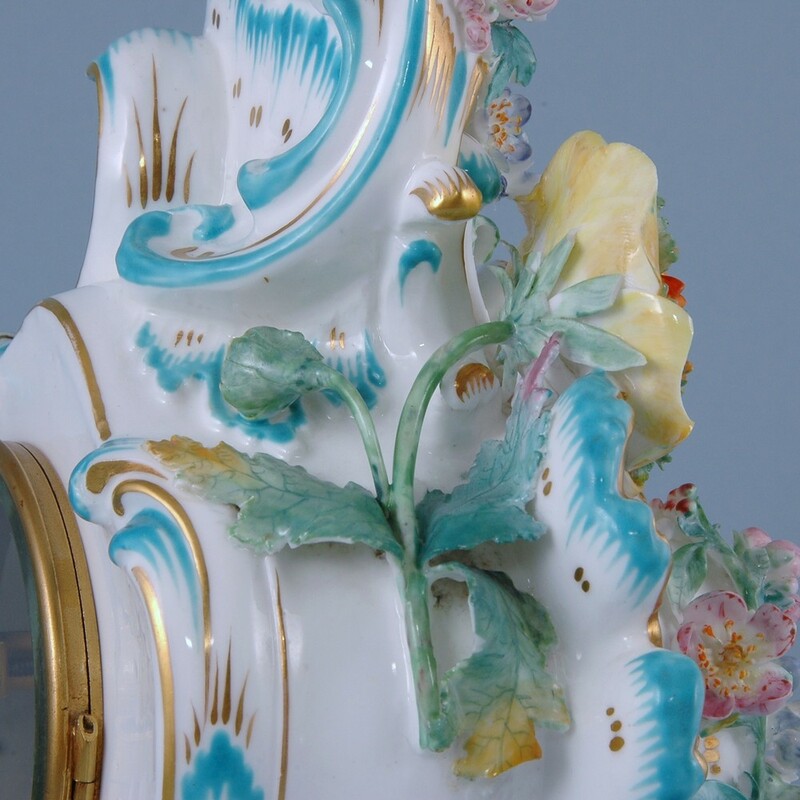 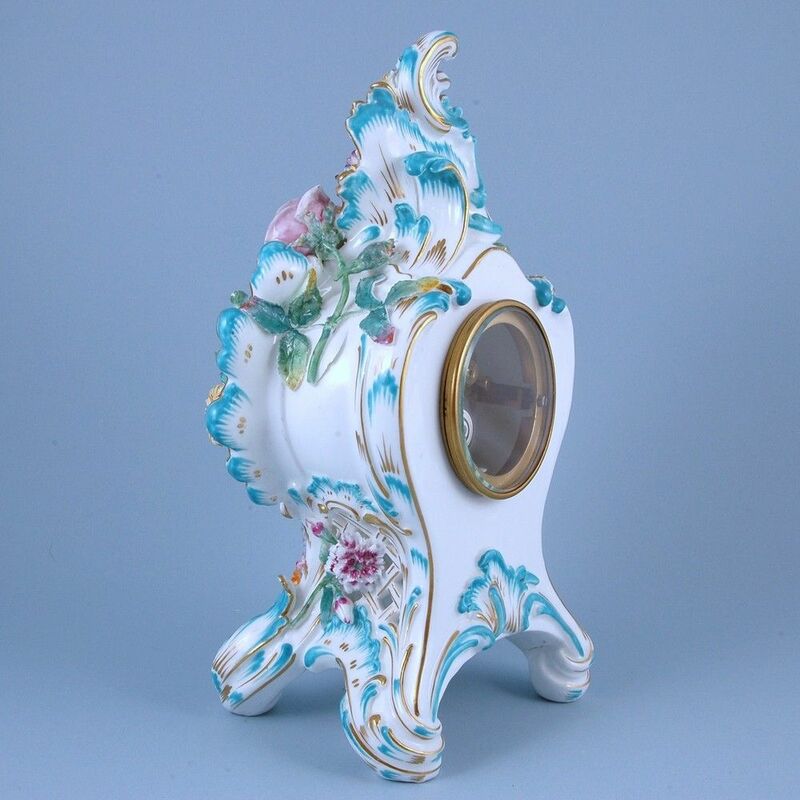 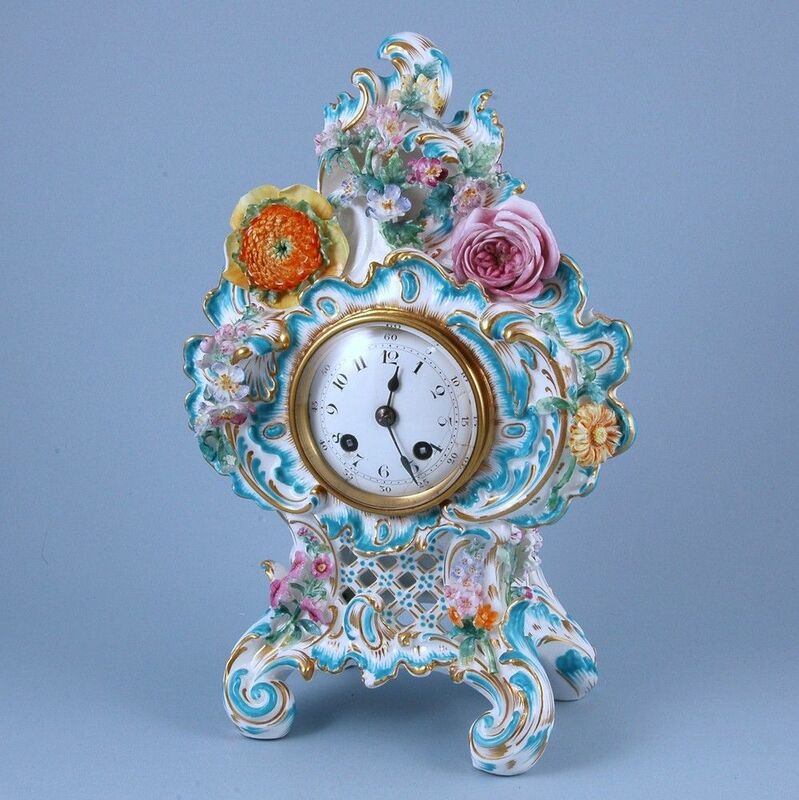 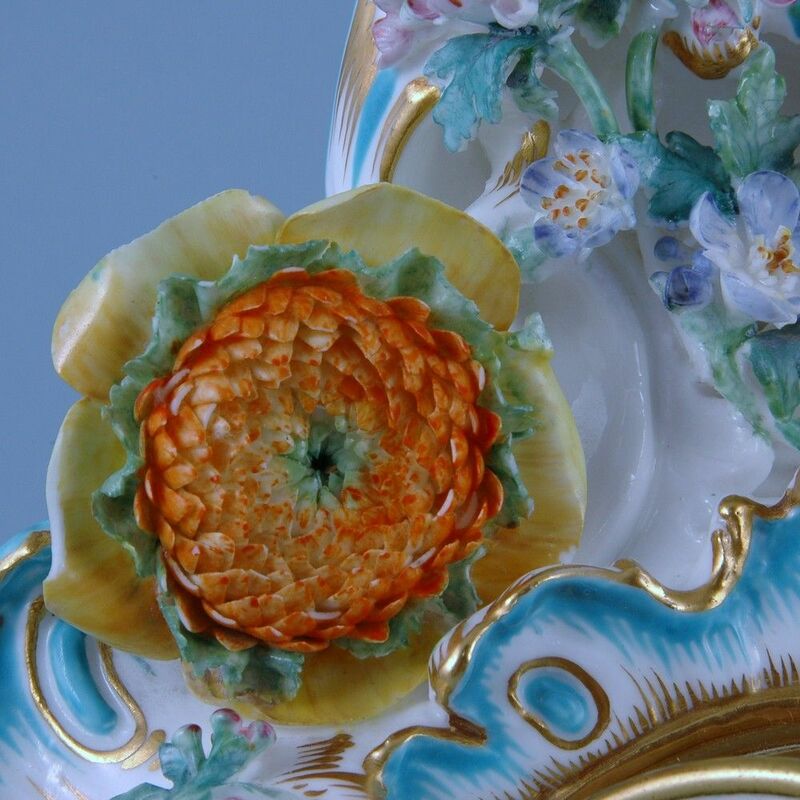 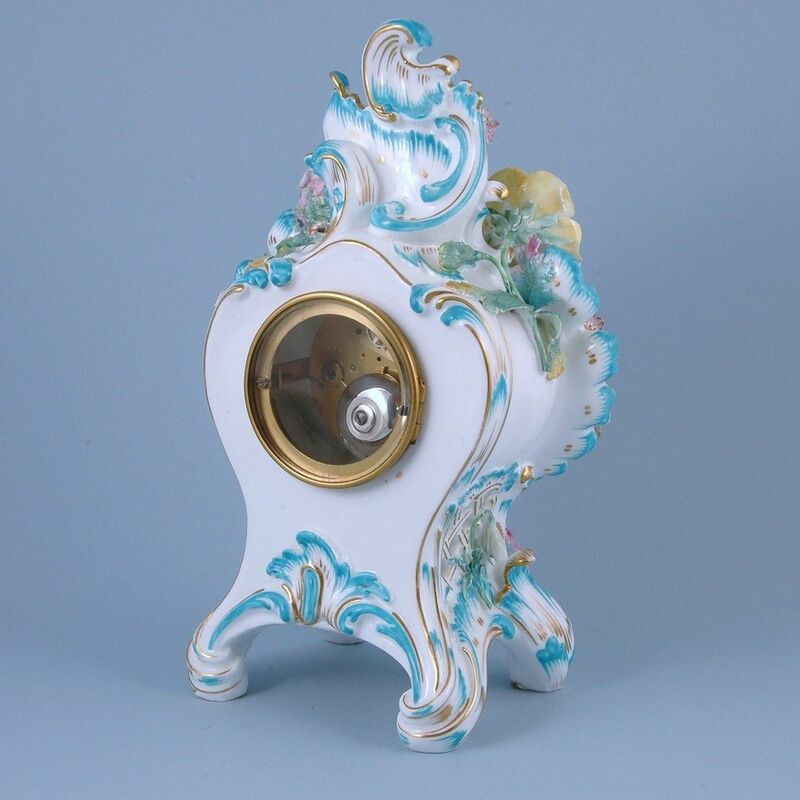 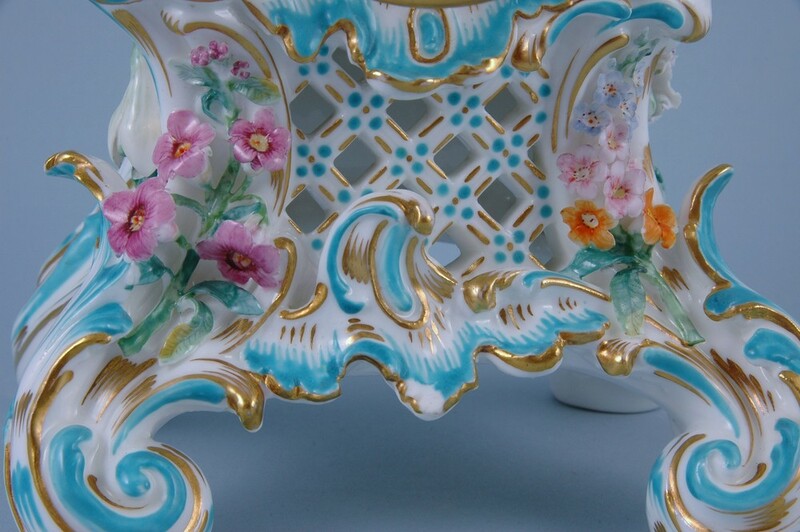 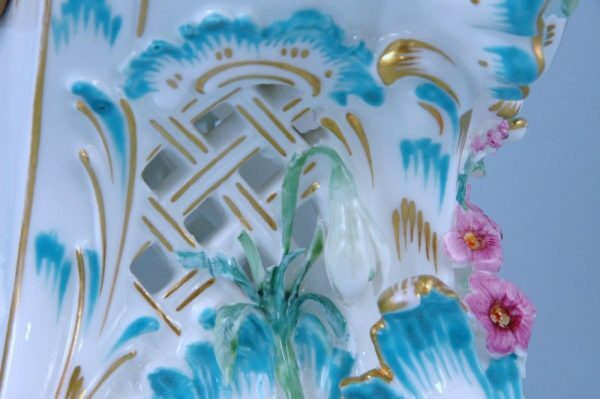 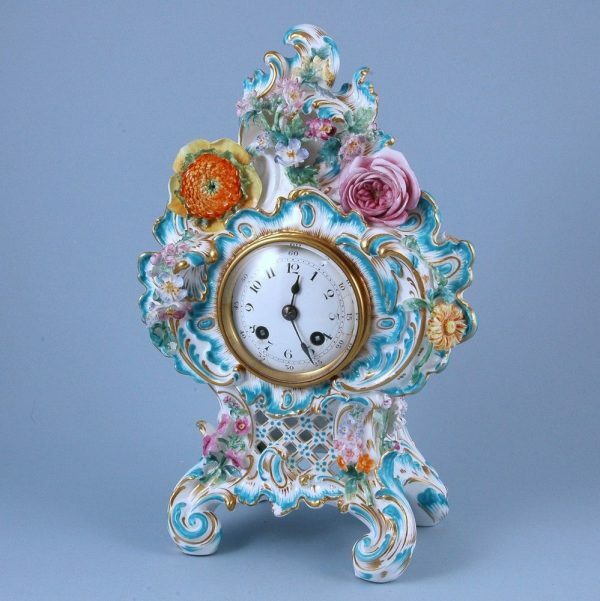 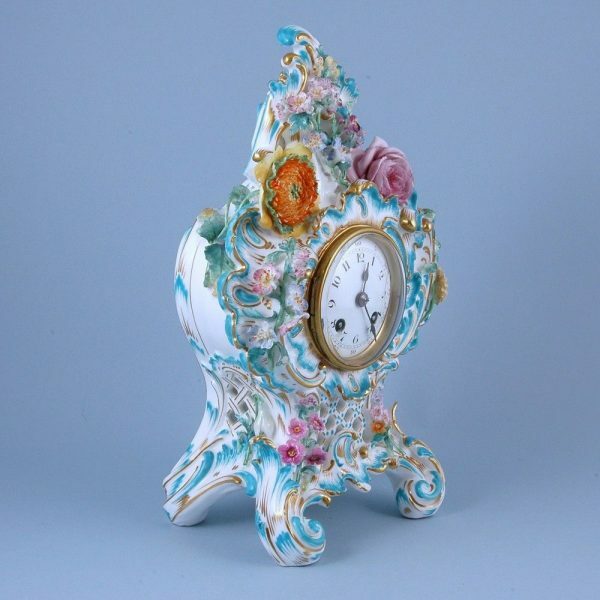 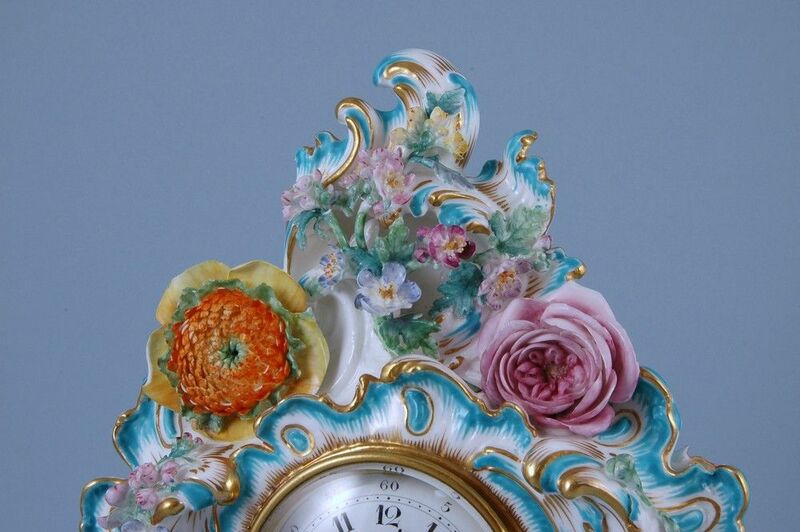 A good quality and very decorative 19th century Coalport/Coalbrookdale porcelain clock case with elaborate rococo scroll moulding and profusely decorated with applied flowers. Condition: Chips & minor losses to some petals & leaves. 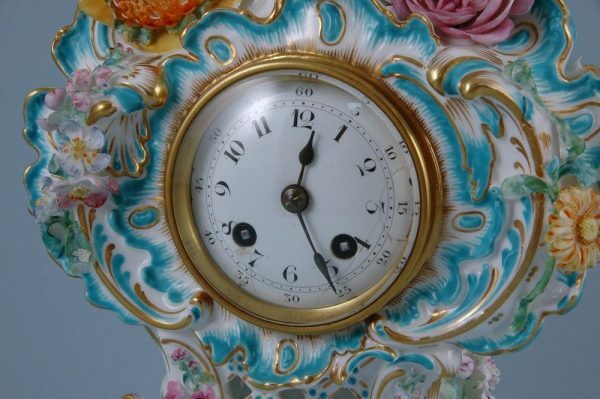 Minor chips & stress cracks to enamel dial. 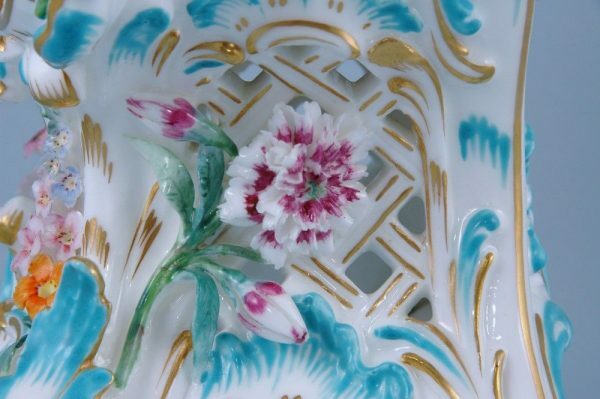 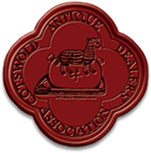 , Furniture & Decorative Items, Porcelain, Tablewares and Decorative items.